The Lynk & Co 03 is a sedan based on the Volvo XC40, and Cyan Racing has turned it into a hot track weapon with technology from its TCR race car. 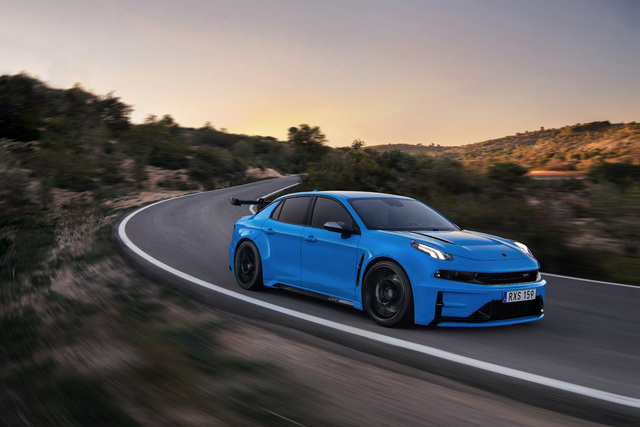 Developed by Cyan Racing, which used to be known as Polestar Racing before Volvo bought out the tuning outfit, the Lynk & Co 03 Cyan Concept has a 2L turbo I4 engine. 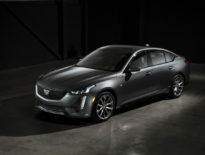 Based on the 03’s standard engine, the concept car’s engine has been tuned for 394kW (528hp) at 7,800rpm, and 504Nm (372 lb-ft) between 4,500 and 7,000rpm. The 03 Cyan Concept has FWD, a 6-speed sequential transmission, and LSD. It has a 0-100km/h time of 4.4s, 0-200km/h in 10s, and a top speed of 310km/h. 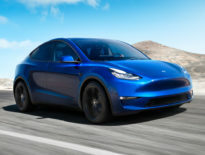 It can pull 1.5g, and has a 100-0km/h stopping distance of 30m (32.8 yards). It rides on 20″ wheels with 285/30 tires, and Ohlins adjustable dampers.